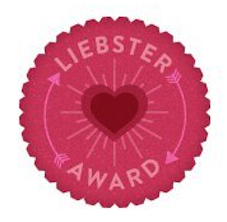 A couple of days ago Imogen got in touch with me and said she had nominated my blog for the Liebster Award. If you haven't already visited Miss Imogen Smith's blog, then I would really recommend it! She has a lovely blog which showcases crafts, illustration, and lifestyle posts. There are loads of things I like about blogging, but primarily I love being able to share my artwork with a larger audience than I might have been able to without a blog. It's always nice to be able to get some feedback on my illustrations. I also love finding new blog's to follow, especially if they are related to art! I found one of my favourite Illustrator's through blogging, and you can check out his blog here. Well, unfortunately my blog name is quite boring and literal! What advice would you give to new blogger's? I would say the most important thing is to keep your blog original and only post content which you are passionate about. I think it's also really vital to find blog's to follow, and make sure to leave plenty of comments on other blog's, that way people will be able to find you! I primarily hope to share my art with a wider audience, and find out about other new artists. I'm always on the lookout for new blog's to follow. If you could possess any skill, what would it be and why? I'd actually really like to be able to play the piano. When I was little I wanted to be an X-Man though, so some sort of supernatural ability would always be welcome! Favourite type of craft to do/look at? Well, obviously painting is my favourite craft to do! I love looking at handmade jewellery though - I'm a bit of a magpie when it comes to things like that. I found a really nice Etsy store called Plumeuphoria, which is run by a girl called Nicole. She makes the most awesome jewellery, I especially love the ear cuffs. If you could live in a world from a book or a film, what would it be? This is a tough one, but I suppose I would choose Harry Potter. I loved reading the books when I was younger, and would definitely love to study at Hogwarts! Charms class certainly sounds more appealing than Maths! Do you have any habits, good or bad? I've had a habit since I was little, and that's twirling with my hair - I don't really know why! What is your favourite thing to bake or cook? I really like to cook Italian roast potatoes - basically just mini roast potatoes with some garlic and herb, but they are so delicious and easy to make! What would your dream house look like, inside and out? I'd like to live in an old fashioned cottage with wooden floors throughout, and lots of oak furniture. If it had a little art studio that would be perfect. It would have to start with a big cooked breakfast! Then it would probably just be hanging out with my boyfriend, playing some games. I'm fairly boring! There you go! The blog I would love to nominate is Glitter Detector, which is run by a lovely girl called Marta. Hers is the first blog that popped into my head when I received this award. You can check out her blog here. 1. What inspired you to start blogging in the first place, and what do you enjoy most about the blogging community? 2. What is the most recent movie you saw and which movie are you most looking forward to seeing? 3. What was your favourite childhood book or story? 4. If you could have any pet, which would you choose? 5. What is your favourite thing to blog about? 7. Where would you most like to travel to? 8. What was/is your favourite subject to study? 9. Do you have any unusual hobbies or talents? 10. I'm a big chocoholic, what is your favourite treat? 11. What is your favourite season/holiday of the year? Once again, I'd like to thank Imogen for nominating me! That's okay Marta! I look forward to reading your answers! Aaw! We both love bunnies too! Your blog is beautiful and congrats on getting the award! !